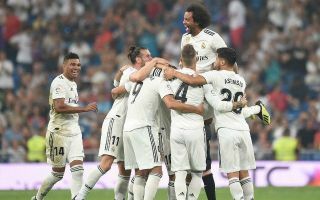 Manchester United are reportedly planning to put together a youthful squad for next season as their transfer plans come together. The Red Devils are being linked with some of the most exciting young talents in England ahead of the summer in what looks a smart strategy from new manager Ole Gunnar Solskjaer. 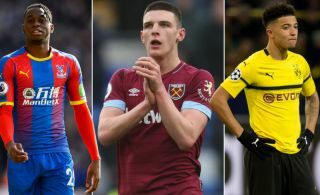 According to the Telegraph, Borussia Dortmund winger Jadon Sancho and Crystal Palace right-back Aaron Wan-Bissaka are both among the club’s priority transfer targets. On top of that, the report explains that Solskjaer is also keen to continue promoting youth from the MUFC academy after giving opportunities to the likes of Tahith Chong, Mason Greenwood and James Garner this season. The Independent claim Sancho could be expensive at around £100million, while Wan-Bissaka has been linked with Man Utd for around £35m by the Daily Mail. It remains to be seen if United can definitely pull both these deals off, but the future certainly looks bright at Old Trafford with Ole at the wheel. Jose Mourinho was not as inclined to respect the club’s traditions of promoting youth, but this looks like the start of an exciting new era.